The organisation achieved the Fairtrade Certification in 1995, and for this reason, they have defended the small scale coffee producers from the big international ones. Nowadays, CENCOINC identifies coffee as their main action strand, having producers that belong to 24 different native reserves in Cauca, and to different native groups from Caldono, Piendamó, El Tambo, Santander de Quilichao, Toribio, Jambaló, Inza, Buenos Aires y Suarez. 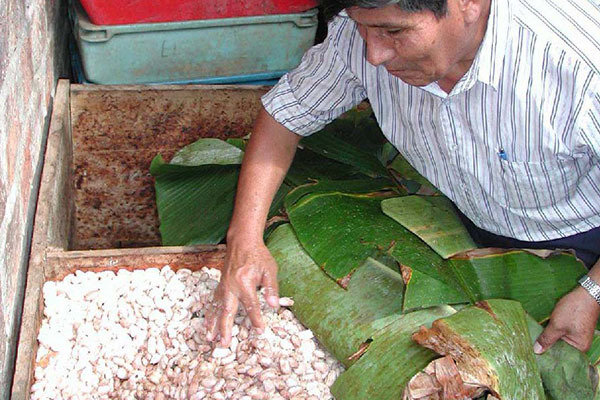 Organization of small cacao producers of special qualities, located in the Central Huallaga Valley, San Martín region, Peru. 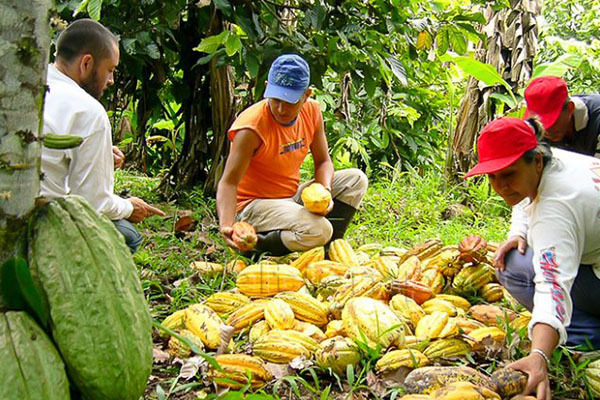 Distributed in 4 Provinces: Mariscal Cáceres, Huallaga, Bellavista and Picota with more than 2,000 associates, whose main activity is the promotion of the cultivation of cocoa, from its sowing, maintenance, harvest and export of organic cocoa beans. 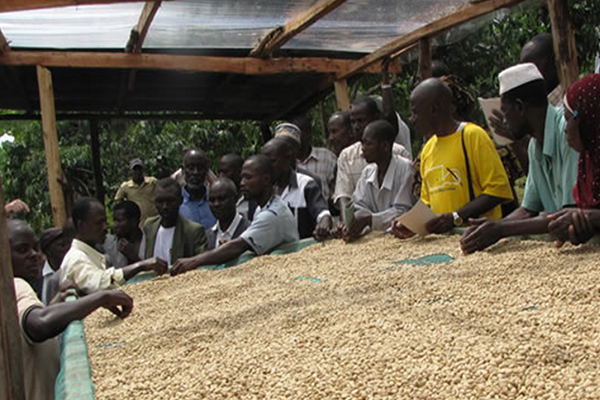 ACPCU groups more than 17 coffee production cooperatives with more than 6000 members from different communities and ethnic groups, through Uganda Mountains from Bushenyi to Bunyaruguru. Although they speak different languages, they have the same goal: to work together as farmers, looking to the future in the coffee market and to improve their life conditions. ACPCU LTD offers technical training in the coffee production and marketing for the farmers, specific support, farm training and search keeping. Agrocafé Kivinaki (Agrocafé) is a coffee and oranges producers association in Junín, Perú. 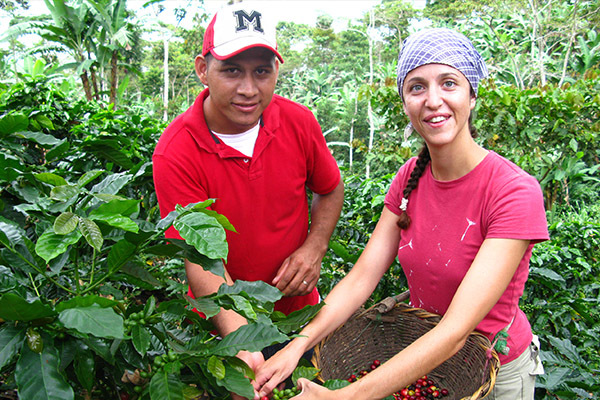 They produce specialty, Fairtrade and organic coffee. 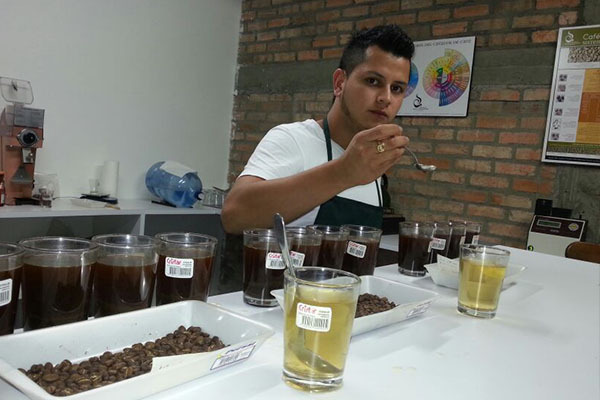 Their mission is to produce high quality certificate coffee for international market niches. It offers technical and financial assistance for their production, assistance through the good practices and stimulation in the economic and social progress. Agrocafé is a small organization with around 150 partners. They have 4 hectares coffee field plantations. Their business model is based on maintaining a solid relationship with their members and to obtain financial, social and environmental sustainability in a region that is grief-stricken because of the high poverty levels. It was born in 1983, as a National Association. It is placed in the high south plateau in Bolivia, in the Uyuni and Coipasa basin, 3.600 and 3.800 metres high. 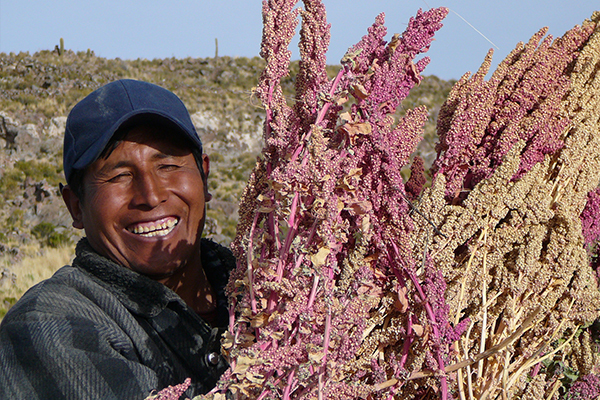 ANAPQUI groups more than 1000 small scale traditional quinoa producers from 7 Regional Associations. ANAPQUI has been working on recover the production value part that was not valued from the intermediaries. Thanks to the Fairtrade commerce the can invest in the control, monitoring, certifications and organic quinoa farm promotion. There is also the training, education and communication project that emphasizes the leaders training and workers training, benefitting more than 1800 families. The main task from ANEI is to promote and to support the cultural preservation of the native towns Arhuaco, Wiwa and Kogui in their region, through the organic sustainable projects implementation, that strengthen the processes in the organization of the group. They also support the economic and social recovery, as well as the cultural rights from the partners. ANEI wants to improve the quality life of their partners through the sustainable use of the resources. They also want to perform an important role recovering the order and universal harmony related to the natives hierarchical vision, which is very important to maintain the Universe harmony. ANEI also wants to promote a bigger cooperation between native and non-native people in their influence area. They have incorporated lots of farmers (lots of Spanish descent) in their association. All those goals have been created having around problems and challenges that some native communities from Sierra Nevada were dealing with in the moment that the organisation was founded. APOVINCES is formed by small landowners (with an 8 hectares field average) that cultivate banana, yucca, passion fruit, rice and more products from the area. 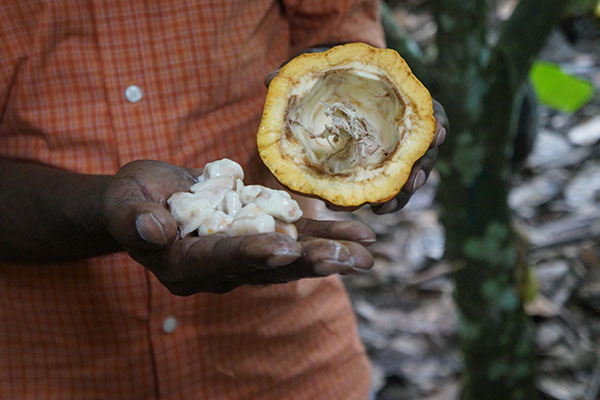 The intention is to avoid the monoculture, though their main product is the national soft flavour cocoa. 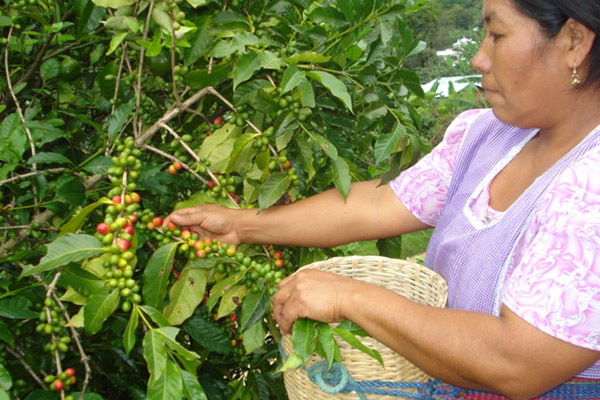 One of their main goals has been to reduce the intermediary chain to improve the benefits for the partners, and also to get Organic and Fairtrade Certifications. These certifications increase the product selling price for APOVINCES. They work to keep and to improve the cocoa quality and the production of the farm, in order to reduce the environment impacts. Associatively, they work about issues as: productive technics improvement (pruning and others), storage, dried and marketing; they also do frequent trainings and a meticulous agro-ecological and organic work. ASOCACE was created in 2003 to represent the cane sugar producers interests compared to the sugar factory and to offer social and productive services to their partners, as: building an school, offering medical attention, repairing local infrastructure, providing loan supplies and savings (the national banks are not trustworthy), or product storage to sell it collectively to obtain a better price. Today it has more than 200 partners. Fairtrade market is a potentially addition because is not easy to get investment funds for the projects. 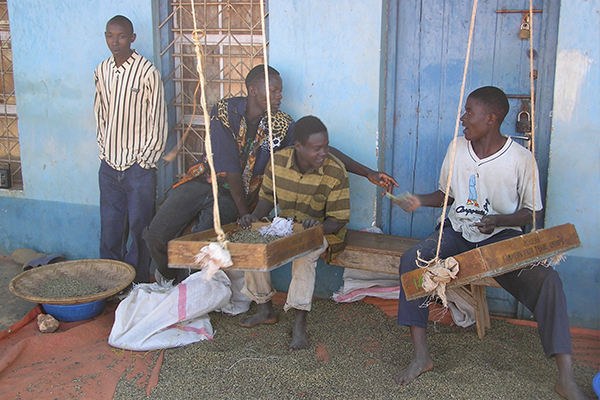 The Fairtrade bonus is the only source of income from which the cooperatives can work on. Some of the projects that have been created with the bonus are: infrastructures improvement (roads, bridges reparation), equipment improvements (for example, the possibility to have a bulldozer that they can low price rent) and the possibility to offer microloans to their members. ASOPEP (Organic producers from Planadas Association) is an organisation in Planadas, Tolima, Colombia. Each partner grows 6 coffee tree acres, and their economy is only based on the incomes from the coffee production. ASOPEP has also Organic and Fairtrade Certification, to support and to open new opportunities for the coffee growers from the region. ASOPEP is one of the most advanced groups in the south of Tolima. It is important because of the volume of production, and also because of the quality and consistency in the cup, the high level on organising themselves and because of their management capability. It is a very well organized association, that applies important internal controls in the supplies chain, which are reflected on their excellent coffee offer. La organización consiguió la certificación de Comercio Justo en 1995 y, gracias a esto, ha podido defender a pequeñ@s productores y productoras de café de los abusos de los grandes cafeteros multinacionales dominantes. Actualmente, CENCOIC identifica el café como su principal línea de acción, con grupos de productores y productoras que pertenecen a, por lo menos, 24 reservas indígenas en el departamento de Cauca, y en diferentes grupos indígenas ubicados en los municipios de Caldono, Piendamó, El Tambo, Santander de Quilichao, Toribio, Jambaló, Inza, Buenos Aires y Suárez. 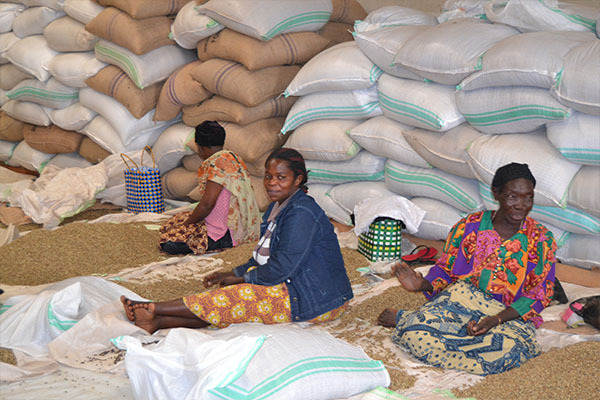 Banyankole Kweterana Co-operative Union, BKCU was founded by 350 coffee producer cooperatives. Banyankole Kweterana means “people from Ankole work together”. 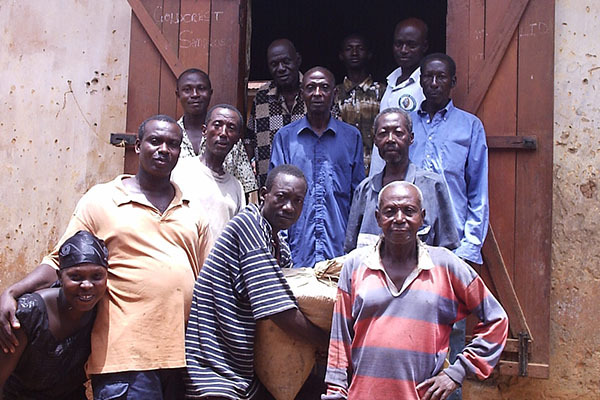 Their main base is the partners from the 10 cooperatives from Ankole, in Uganda. Nowadays, the BKCU operative activities are the local sells and the Robusta and Arabica coffee export, especially for the Fairtrade market. They work with the aim to increase the sold and the export in Fairtrade, with the goal to improve life conditions for the base cooperatives. They provide the need infrastructure to reactivate the cooperatives, trainings proposition and sensitizing socially and environmentally the farmers, the primary societies, the Union Administration and the governing board. 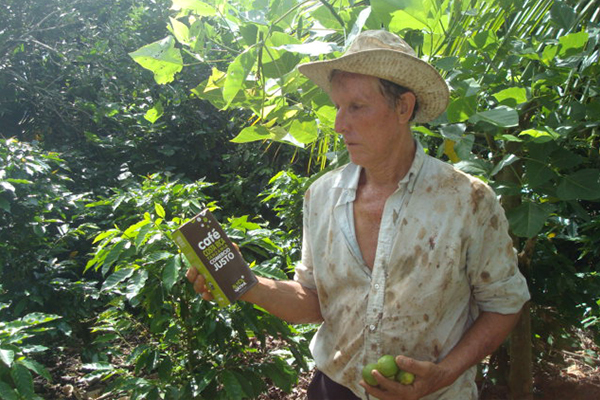 The agrarian coffee-growing cooperative Valle Río Apurímac was founded in 14 December 1969. It is an organization that was created to strengthen the production and management to improve their quality of life and to ensure family benefits, on a social responsible base. Their main goal is to provide efficient support servicies to their partners on the production and on the cocoa and coffee market. It is located in Los Valles del Río Apurímac, from Ayacucho, Cuzco y Junín. The cooperative works with 2.750 partners and it was the first Peruvian cooperative that certified their products as Fairtrade products, in 2011. For this reason, they have reinvested supporting and improving in environment projects, and also improving in the organic farming and in the organic certificate. The also work for the gender equality with the project “Woman as a leader”, that has the aim to improve the award and the farm women participation in the cooperative. They also offer microcredits and production improvements, as well as other benefits. Camari, that in quechua means “liking”, was created in 1981, becoming specialized in commercialization areas about agriculture and livestock products. Camari works as a direct trade network between the organized producers and the consumers. So their task is to offer high quality products to the consumers, paying a good price, higher than the price paid by the local intermediaries. Camari supports the commercialization and the production, offering training, technical assistance and orientation, very necessary areas for the agriculture and handwork production. Their products are sold in the country shops and in the different Fairtrade international organizations. 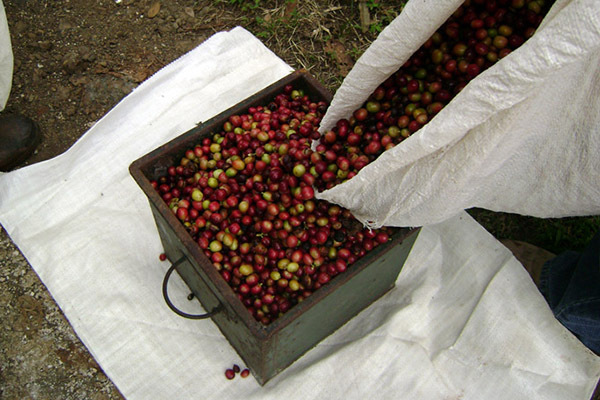 CECOCAFEN is a cooperative organisation formed by more than 2000 producers from 11 cooperatives in Matagalpa. The tropical and wet weather, the rich volcanic soil and exuberant vegetation helps to create the coffee flavour. It also insures the product marketing internationally. The biggest challenge for CECOCAFEN is to rebuild the country after civil war years. The organization collaborates through the production process (which is part of their daily work) and it makes easier the training processes, the technical production and the business management assistance. It also supports the coffee process. 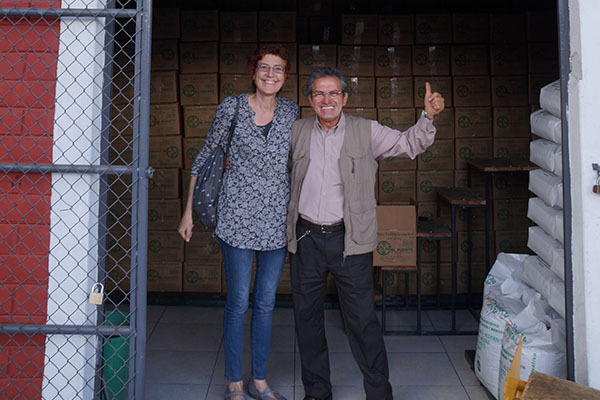 CECOCAFEN has dedicated big efforts to improve the coffee quality; mixing loans, donations and their own funds (from Fairtrade) they bought in May 1999 a factory work for the green coffee called SolCafé. With this, the partners have a threshing machine to process the coffee, to get green coffee, to control the quality through the whole process and also to increase their productive activities. 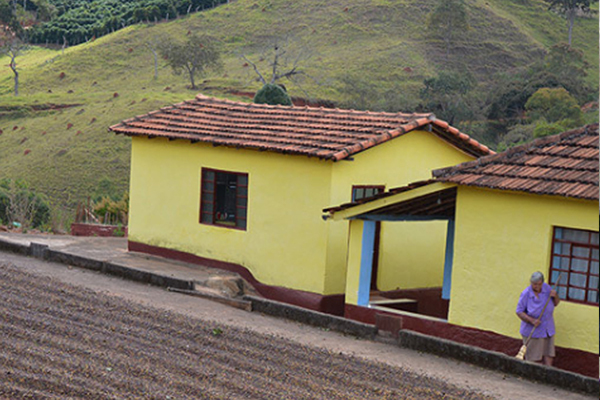 The most recent project where CECOCAFEN is working is the ecotourism development there, which will contributes additional incomes for the farmer families, and it will also teach the visitors about the coffee production and about the Fairtrade, too. Horse walking, guided visits to the coffee trees, different activities with the community and other activities will help to increase the raising awareness and the environment protection. The young people from the community are excellent touristic guides, they know a lot about local vegetation and animals. Women are organized in committees, they are learning how to provide with food and accommodation to the tourists, to offer them an unbeatable treatment. CECOVASA was founded in 1970 by five different cooperatives that joined together to export, obtaining best prices and to share expenses; nowadays they are 8 cooperatives that group 4581 producers. 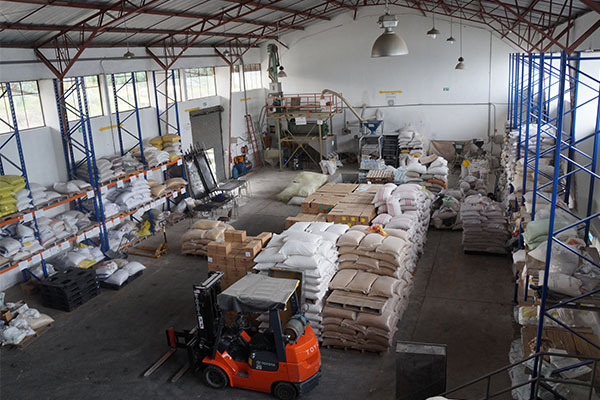 La Central exports more than the 75% of coffee production from Tambopata and Inambar, in the East, in los Andes, Perú. The production from both valleys represents the 2% of the total national. The partners from Cecovasa are Quechua and Aymara that come from the high plateau from Titicaca Lake. This part with low productive ground is affected by El Niño, which is an important cause of immigration (like the one that in 1930 in the Bolivian hot tropical valleys, where they learnt to grow the coffee that 20 years later originated La Central). 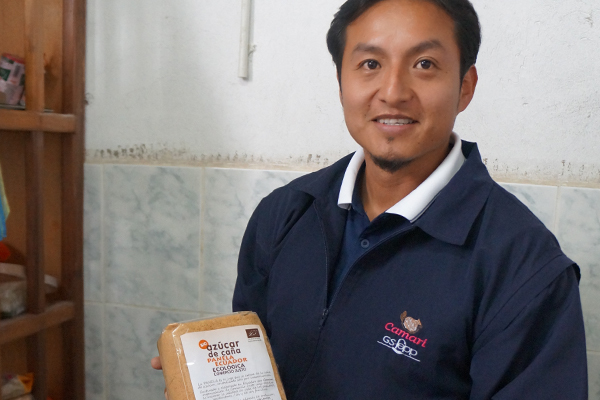 So the coffee, that was born in Ethiopia and spread by Holland and French people, arrived to Cecovasa from Bolivia. Aymaras colonized mainly the Tambopata valley; the Quichuans, for its part, the Inambari. The producers grow 2 coffee hectares. The production place at Cecovasa goes from 800 to 2000 metres above the sea level and a third part is next to the National Park Bahuaja Sonene deadening. The harvest takes place between March and July, sometimes until November. Their goal is to promote the association, the leadership and the business excellence of their producers and cooperatives. For this reason they promote the business training and it provides training, technical assistance, credits, consumable goods acquisition, brand development, certificates, information, supplies, processes and special coffees marketing. With all these aspects it wants to increase the incomes and the quality life, as well as the life of their families. CECOVASA is an organisation from Valle de Sandia substantiated by the principles and the values of the cooperativism, committed with the eradication of extrem porverty, the Andian culture preservation and the environmental sustainability, where the most important aspects are: efficiency, originality and quality. Cocla is a Peruvian second grate cooperative formed by 22 primary cooperatives with service and social vocation. The participation and gender perspective is focused on the introduction of activities that generate an improvement in their partners’ economy, specially managing the environment in a responsible way and also introducing productive diversification processes. 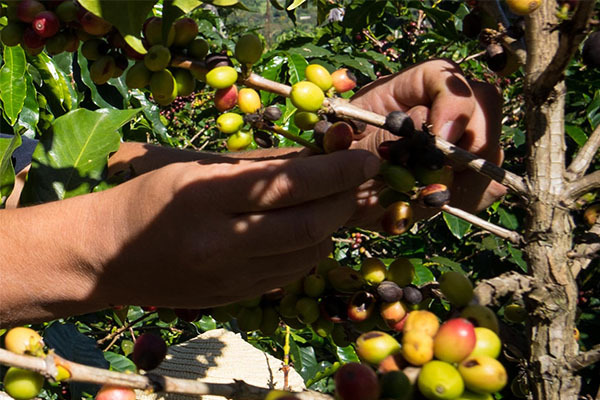 COCLA wants to become the main high quality coffee brand in Peru, and an authority preparing it, as well as other products that form the agriculture chain of their partners. The COCLA strategy, through the years in the Market, has always been different in quality, environmental expectative and sustainability ones. COCLA has Fairtrade, Organic, Rainforest Alliance and Rei Alliance Certificates. CONACADO was born in 1985 from a successful union between cocoa producers and having the support of the Cocoa Department from the Agriculture Secretary, as well as from the Germany Cooperative Agency GTZ. Their aim is to improve the incomes and the cocoa producer’s and family life quality. They achieve it having the support on managing their homes, improving their products quality, marketing efficiently their harvests, strengthening their organization business and trade-union and developing integrally the communities where they live. 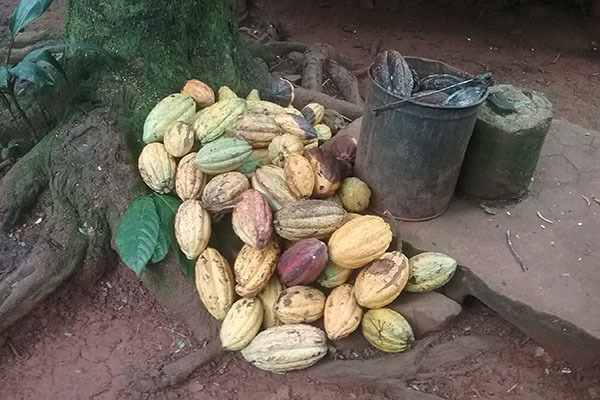 They work with the aim to achieve a technically developed cocoa area with high quality products, well-known internationally and produced by men and women that have achieved a correct quality live level. The goal will be achieved through education and improving the process and supply infrastructure, to guarantee their place in the most demanding international markets. This cooperative was born in 2005 from the effort of a group of farmer families. It was created to improve the life quality of these families through a sustainable production, respecting the environmental and social aspects and, also, searching improvements in the production and in the coffee quality. Fairtrade has become a step forward, particularly in the management work (years ago they had less education opportunities, technological improvements and specially less access to get a credit, technical assistance or agriculture extension). COOPEAGRI is a social economy cooperative that is directed to the integral development of the associated people, by the implementation of different and alternative projects and programmes that help to improve their living conditions. From its birth in 1962, it has worked to promote the business social responsibility, the innovation and the excellence in the customer service, the participation of the partners and workers, as well as in the environment agreement. This cooperative groups more than 16000 partners. In 2006 it exported 267 cane sugar tones. The generated resources from the Fairtrade sugar exportations with FLO certification are used to execute programmes to favour the producers, as: incentive payments, the coffee mastics establishment or the Peñas Blancas basin river protection. COOPEAGRI is a social economy cooperative that is pointed to the comprehensive development of the associated people, by the implementation of different and alternative projects and programmes that help them to improve their quality life. From its born in 1962, it has worked to promote the business social responsibility, the innovation and the excellence in the customer services, the participation of the partners and workers, as well as in the environment agreement. This cooperative groups more than 16000 partners. In 2006 it exported 267 cane sugar tones. The generated resources from the Fairtrade sugar exportations with FLO certification are used to execute programmes to favour the producers, as: incentive payments, the coffee trees establishment or the Peñas Blancas basin river protection. El Paraíso Cooperative is formed by 20 partners from Pichincha (Ecuador). 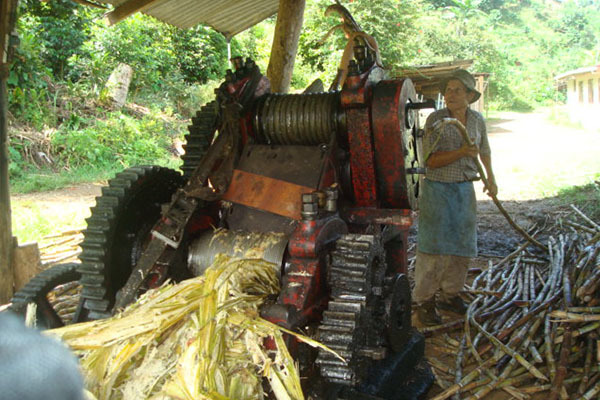 Each partner owns a small cane sugar plantation as well as the machines that are used for the raw cane sugar extraction. Each plantation is autonomy run by the family from the cooperative. They also contracts local workforce, paid by a fair salary. With this, they generate employment and improve the life of these families. Coopervitae (Cooperativa Agrícola de Nova Resende de Productores Orgánicos y Región LTD) is located in Resende, the south of Minas Gerais, in Brazil. It has got 377 members. 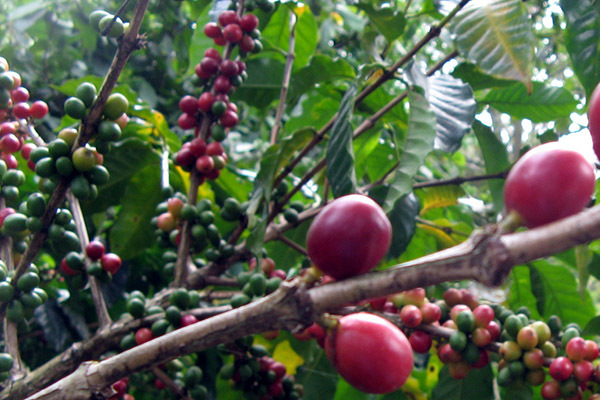 The cooperative has 1600 hectares of Arabigan Coffee, 1000 metres high, and the coffee grown has an excellent quality. 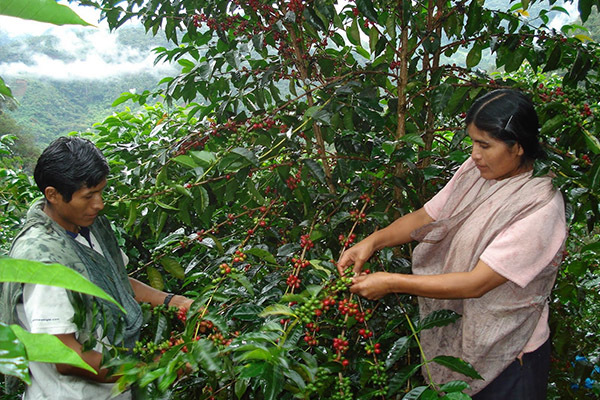 Coopervitae is compounded by farming families, whose main source of income is the coffee. From 2006 their coffee is Fairtrade Certificate. With this certificate they have improved and have claimed the retail price from the production, they have kept a confidence relationship with their clients, strengthening their alliances and adding value to their coffee, ensuring social and environmental sustainability in their cultivation. 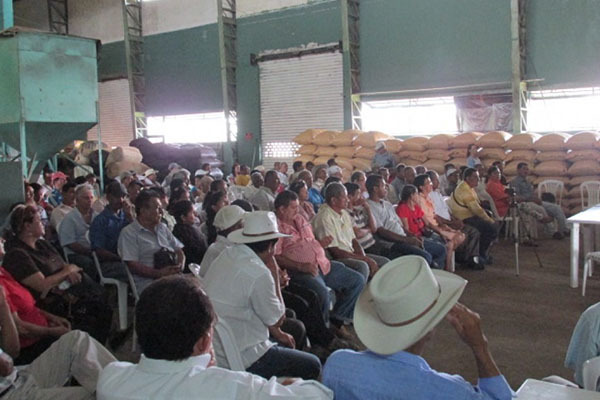 Coopvama, cooperative from Marañón, is a competitive organization in the organic and special coffee market. Their strength is based on the training improvements (to satisfy the claims of the clients), contributing to the human development from the coffee growers families that have economy, social and environmentally responsibility, having as a principle: equality gender, steady improvement and the business lines diversification. COPPVAMA provides technical assistance services, supplies and export, production promotion, competition and self -employment. They also promote peace, culture and environmental harmony. All of this contributes to the human equitable development, the steady improvement in quality life, and therefore, the clients, getting benefit from the chances the environment can give them creating new businesses. The farmer’s journal “Cumbres de Ingapi” is located in Pichincha, north-west of Quito (Ecuador). The weather is subtropical and the altitude there is 1200 metres. It was created in 2005 and it is formed by 50 families. They are small scale farmers that cultivate cane sugar, although they also plant other products for them and to be locally bought, as yucca, corn, banana, lemon and other fruits. Each family owns between 2.5 and 3 ground hectares. 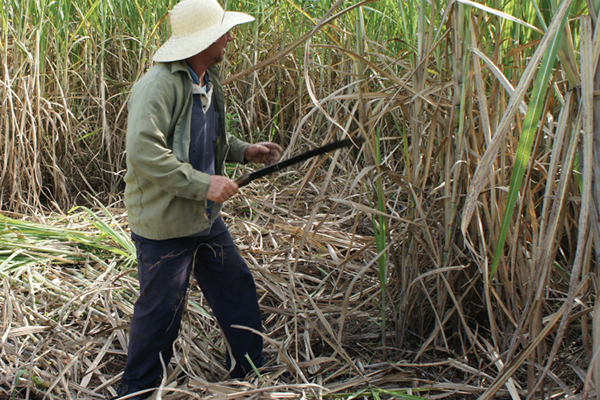 The cane sugar harvest takes place along the year, avoiding the heavy raining seasons. 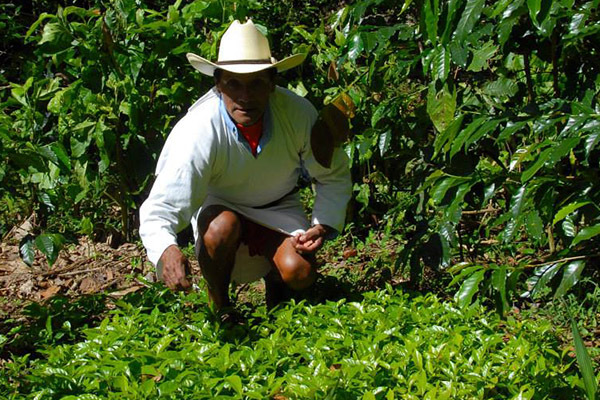 Nowadays, thanks to the Fairtrade, the producers have come out of poverty and margination. They have built better life for themselves and for their families, for example, having access to education, technical formation and investing land improvements. “El Ceibo” is a cooperative created in 1977 with the aim to break the transport and market monopoly through the intermediaries. Nowadays it has more than 850 partners that cultivate cocoa in small plots, not bigger than 12 hectares. 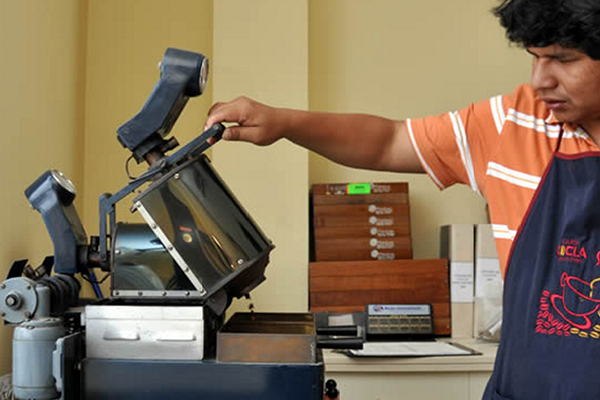 El Ceibo has become the most well-known and respected cooperative in Bolivia. At the beginning, the partners built a store and a drying plant. After that, they built a simple factory for the cocoa production. It was the first time that producers changed the production themselves. 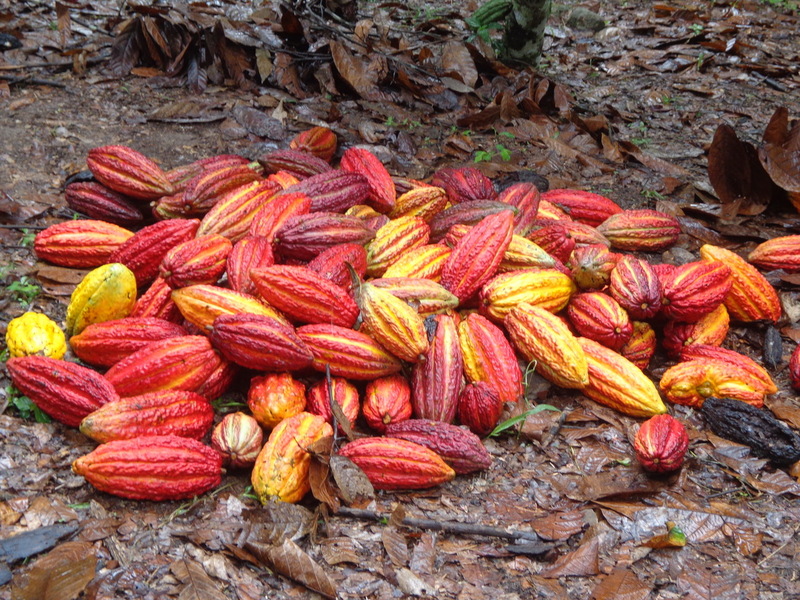 Nowadays, El Ceibo produces cocoa powder, cocoa fat and even chocolate. The benefits and services that offers to their members are: transport, technical training, university education, market credits, investigation, etc. Fair Farming Ramnagar foundation was created in 2012 and it groups farmers from 38 different villages from Betalghat, Kotabag, Patkot and Dhela. The unspoilt nature is really good for the organic rice production, but the villages are too isolate and life is not easy. Lots of farmers have a very low or none educational level. In the past they were often exploited while they sold the rice in the local markets. The foundation wants to avoid these type of abuses and to improve their life conditions. The farmers are democratically organized, so they can self-manage by themselves. Their aim is to achieve a rural and sustainable development, and to avoid the migration towards the big city. The rice sales, through Fairtrade channels, help families to live deservedly. Thanks to the Fairtrade they could build a school to teach kids and teens English and Hindu languages and a centre to teach women on adaptation. The first courses have been very successful and the villagers have enjoyed a lot these opportunities, which were totally unknown for them. 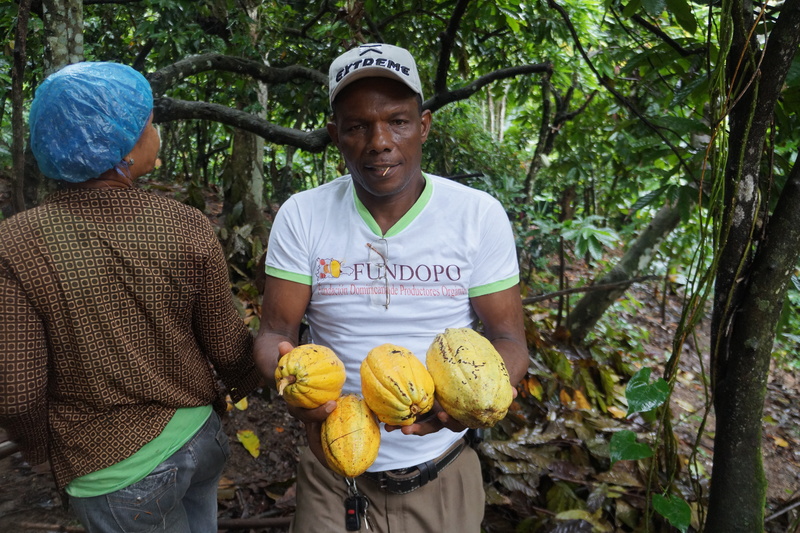 The Dominican Foundation from Organic Producers FUNDOPO is a first grade non-profit organisation, formed by women and men that grow organic cocoa and other products. It groups 67 productive units with 1500 organic cocoa producers from Villa Altagracia, Yamasá, Puerto Plata, Joba y Blanco Arriba, Nagua, El Seibo y Salcedo. Their main goals are: to achieve the integral development of the producers’ economy (strengthening the sustainable environmental investment, from the country and abroad, too), the equitable distribution of the properties and services and improving their life quaiity. They also work to protect and to preserve the natural resources to guarantee the biodiversity and the sustainability in Villa Altagracia, as well as to design and to promote the programme that allows the women and girls development in Altagracia. In Tanzania the coffee production, elaboration and marketing is managed by a Primary Society System that put together small scale farmers that, at the same time, join together in Cooperative Unions in each of the 5 different coffee production places. Two of them, KCU and KNCU, commercialize more than the half of the whole coffee from the country. KCU has more than 96 Primary Societies with more than 60.000 partners. The KCU management is done by an administration council formed by 12 members and different working areas, covered with more than 400 workers. KCU was born in 1950 with 48 primary societies (based on small villages). In 1976 it was dissolved by the government (also with other cooperatives) and was replaced by a national organism that worked on its sold and transformation. The cooperatives reappeared in 1984, but their properties were never returned, so they became an extreme poor state. In 1991 the government gave totally autonomy to the cooperatives, and also freedom association. KCU exported Fairtrade products not late and Alternativa3 did the first importation to Spain in 1999. KCU is a second level cooperative. 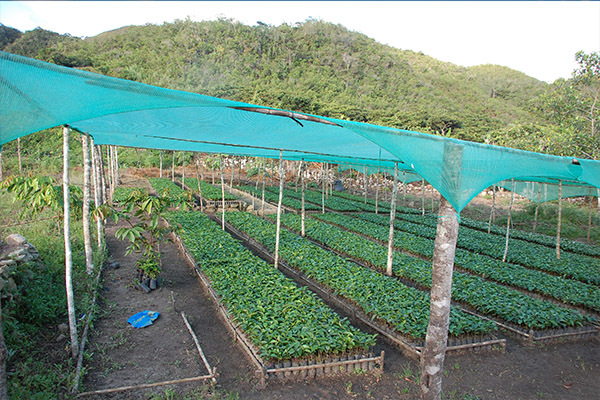 Their main activity is the coffee and other farm products marketing from 178 primary cooperatives. They are located in small towns from Kangera, in Bukoba and Muleba districts, representing 100.000 farmers that, with their families, are more than 300.000 people. KCU gives training and technical support to the small scale farmers. The farmers become members of the cooperative when they get 5 society participations, that costs 1500 Tanzanian shillings. This organisation was born in April 1993 unifying 50 production cocoa cooperatives from Kumasi (one of the most important cities from Ghana). These cooperatives have a very participative structure and the obligation to have an accountant and a product manager. The export is done through a second grade association, and the base cooperatives reinvest the paid price building houses, in education and keeping their culture. Kuapa Kokoo was born as an answer to liberalize the cocoa market, being conscious about the need of the farmers to be organized by themselves and to participate actively from the Fairtrade cocoa market. 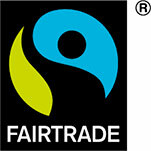 It collaborates with Fairtrade organizations since 1993 and, for this reason, they can operate independently. They also have the correct tools to decide about their own development. 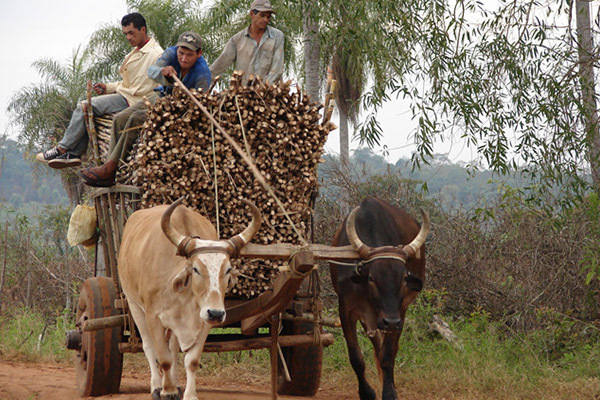 The Manduvirá Cooperative was created in 1975 and is located in Arroyos y Esteros town, in the south-west of Paraguay. The farmers’ life is not easy because they live in an isolate place, and the crops are small, as well as the benefits they report. The stretches of land they own are constantly divided in smaller and smaller sections for their children. Thanks to the Fairtrade merchandising, Manduvirá can face the possibility to get their own organic certification, to rent a factory and to produce their own organic sugar, and also to establish long-term cooperation with international clients, conquering the market with their brand (that is distinguished as a high quality brand). In addition, other benefits are added, for example, education, medical and organic farmer funding. The Coffee growers cooperative from Manizales was created in 1960, in Caldas and, later, it was extended to other parts of the region. From the beginning, it has got the support from Federación Nacional de Cafeteros buying the beans, to build a modern infrastructure, always looking for a fair price to the coffee grower, paying them at the moment and having an exact weight, contributing to improve the farmer quality life for the coffee grower’s family. Coffee is grown in fertile soil, where the farmers apply the best practices to preserve and to outline the fragrance and scent. Is a created coffee that follows the tradition and the experience from a region that has the perfect balance between a good taste and respect for nature. Henrique Kabia arrived to Holland as a politic refugee in 1993. There he decided to go on with the family tradition: the beer elaboration based on the family’s recipe. Mongozo is the traditional beer brand, having in origin different exotic cultures. Mongozo means “for your health” in Chokwe’s language that live in Angola, Congo and Zambia. Agree with the African tradition, the beer elaboration is a women work. In the XVIII century an Henrique’s great-grandmother started to use palm fruits for the beer, instead of distilling the traditional palm wine. Along the last century, the recipe has passed from mothers to daughters. Henrique’s mother also distilled the beer using palm fruits, but she didn’t have a daughter. For this reason, she decided not to go on with the tradition and started to teach her son the technique where they used palm fruits during distil period. When in 1993 Henrique Kabia arrived to Holland as a refugee, his mother’s recipe was his unique income. The final result from mixing the recipe with new experiments is a new and exotic beer that gives a new dimension to the European beer tradition. In 1998 Henrique Kabia and Jan Fleurkens decided to take out Mongozo to the market. All these beers contain Fairtrade and Organic Agriculture ingredients, and when possible, they have the Fairtrade and Organic Agriculture certificate. The Agrarian Cooperative Norandino was founded in 2005. It is formed by more than 7.000 families from small scale cocoa, coffee and cane sugar producers. They come from the coast, the mountains and from the rainforest in the north of Peru, Piura, Tumbes, Amazonas, Cajamarca and San Martín. The cooperative offers partners storage, process and transformation services, and also about logistics, assessment, export and products promotion. This cooperative promotes the sustainable equity development and it wants to improve the partners’ family life conditions, articulating the production in the local and international market. The Pakta Mintalay Association was formed in 24 September 2010 to support and to participate from the equitable food and handmade products merchandising from small scale producers from the countryside and from the slums in Ecuador. Pakta Mintalay, that in Quechua means “equitable commerce”, markets preferably organic certificate products: raw cane sugar, mushrooms, cocoa, coffee, quinoa… this market is done following the Fairtrade guidelines, achieving that the impact caused by the merchandising is reflected in the life conditions from the families that participate in the productive chain, and the strengthening of the organization, having as a base the rules from the equitable trade. It is a cooperative formed by a group of Harijan families from the lowest castes in the Indian society, the untouchable. It is placed in Tamil Nadu, in the south of India. These castes have done works related to the leather and similar materials. In spite of being considered one of the worst works in the Indian society, for them has been a liberation from their totally poverty. After 18 years producing for the Fairtrade market they have achieved a medical centre and schools, something unexpectable for these castes in the past. These allow some children to get study degrees. The hand makers from Palam have the hope on their children’s education, seen as a change challenge and also about the future. 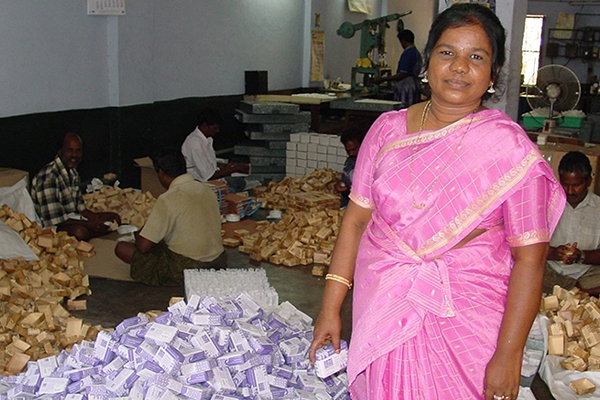 With Palam Rural Centre they improve the people’s quality life from the poorest families in India, and thousands of people gain a worthy life, forgetting the caste name, producing vegetal soaps following Fairtrade principles in a new society model. These soaps become the key to come out from the poverty, the discrimination and illiteracy where they live. The Fairtrade Organisation Panay (PFTC), in the Philippines, was born to improve the women’s role in the Philippine society, and it also works to protect the small scale farmers’ and the women’s interests from the slums. The cane sugar is the main source income for the most of the Philippines families. 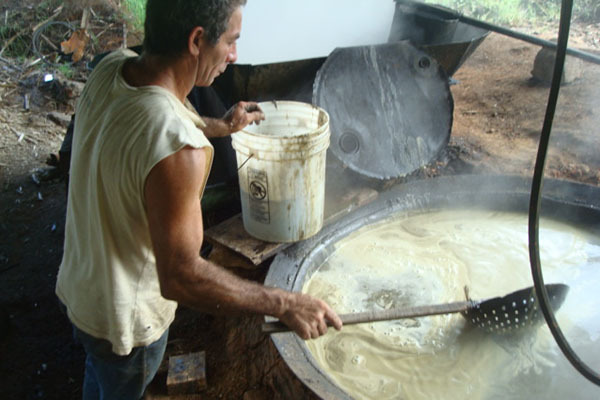 PFTC defends the traditional cane sugar production methods and it also supports the small scale producers commercially and technically. It stands out by their social and political agreement. 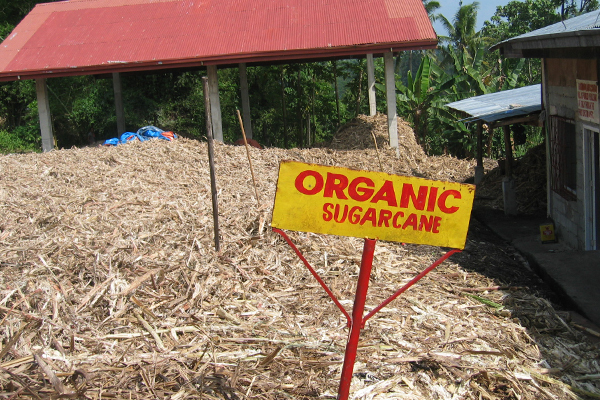 Thanks to the Fairtrade cane sugar merchandising, the Philippine farmers receive higher profits than the benefits that invest the conventional trade. With this, the farmers can get worthy work conditions, with insured and regular payments. They have also modified the production, and nowadays it is organic (using, for example, their own compost instead of chemical and synthetic fertilizers in their fields. 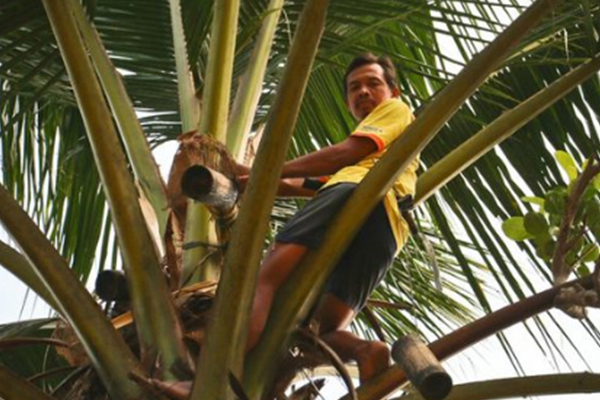 This organization is located in Panay Island, and consists of 30 families that cultivate cane sugar and the required products for their own diet. At the same time, they have done new investments to improve the community life conditions, for example, building a day outpatient. The production is done following the Organic Agriculture rules, using the worm excretions to fertilize the fields. 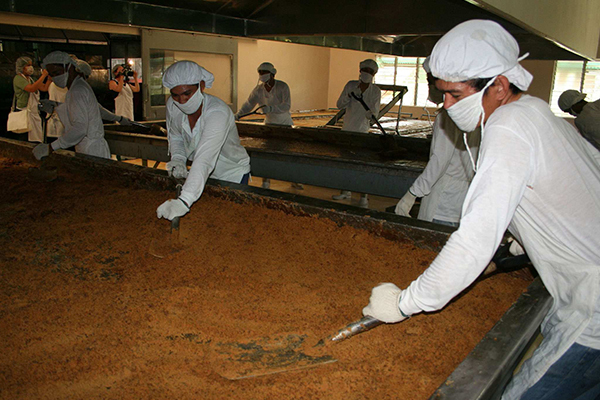 From the cane sugar they produce the Mascobado sugar, that doesn’t contain chemical additives, so the flavour reminds intact. Nowadays they export almost all the production. PRODECOOP is a second grade cooperative organisation formed by 40 base cooperatives that group more than 2300 small scale associated producers. The 27% of them are women. Their influence zone is in Las Segovias, in Madriz, Nueva Segovia and Estelí, the north of the country. The 100% of the partners are Fairtrade certificated. They access to the market, cooperative development (which includes technical assistance, training, credits of cooperative strength), coffee quality improves and social projects thanks to the Fairtrade bonus. The cultivated coffee are grown in the shadow, dried in the sun and taken by hand, so they have flavour and appearance very good characteristics. 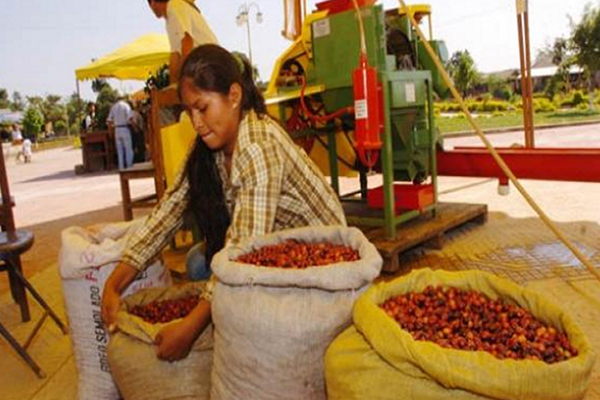 PRODECOOP is an economic and environmental sustainable cooperative. They have gender and generational equality. They are leaders encouraging the production, transformation and marketing of the products These products are grown by farmers that are committed to the development of the cooperative. This creates more value and it offers more and better services, encouraging an environment to favour the strategy alliances. Mitra Abadi is translated as “partner forever” and this is the most important aspect of PMA. They are strongly linked to local producers with the aim to expand the products from Indonesia to the global market. They implement together new cultivation methods, and they create quality products, that means delicious ones. Coconut sugar from PMA is well-known by their sweet and honeyed flavour. It has iron, zinc, potassium, antioxidant, dietetic fibre and a lower glycemic index, different from the traditional sugar. Althought in Occident is recently very popular, coconut sugar has been used as a sweetener in the Asiatic south-east from milleniums ago. It is produced from the palm flower coconut sap, which is abundancy grown in the tropical weather. It is cultivated using traditional methods and it is processed by the local citizens without adding any additive or artificial preservative, as generations ago used to do. 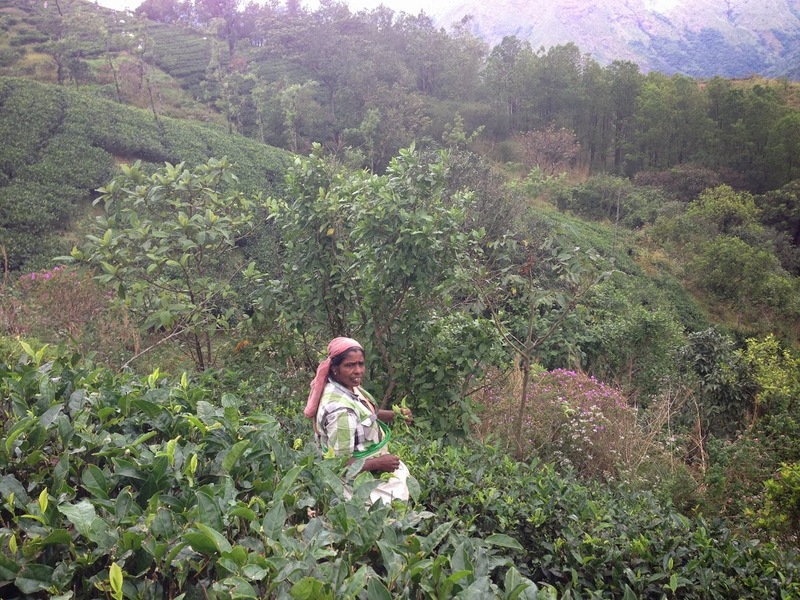 Our new teas come from a region in India called Kerala. 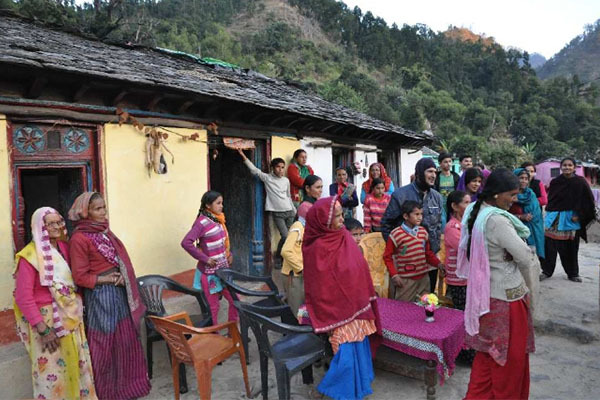 It is a cooperative that groups more than 200 families. They complete the whole process, from the harvest to the packaging. The cooperative The Small Tea Project is the first cooperative that, apart from being Fairtrade and Organic, only works with small farmers, instead of using pesticides and genetically modified organisms. 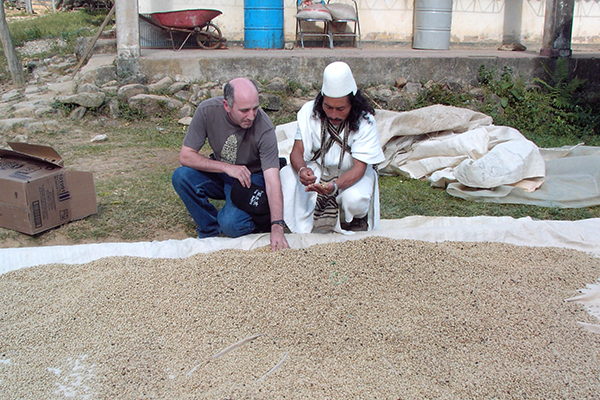 UDEPOM (Unión de Ejidos Profesor Otilio Montaño) is a coffee cooperative placed in Sierra Madre de Chiapas, next to the border with Guatemala, a place that has suffered a low infrastructure, high unemployment percentage; high illiteracy and low life expectancy. The small scale local coffee growers (that come from different ethnic groups) created UDEPOM to fight against this kind of problems looking for steady and fair prices for their coffee and to access to the international markets avoiding the speculative abuses from the big intermediaries. UDEPOM got the Fairtrade Certification for their coffee in 2003. The partners are committed to maintain the natural resources. They were pioneer producing organic products there. The native cooperative partners use the traditional knowledges for their organic farmer methods, and they also do trainings that are paid by the Fairtrade bonus. The Fairtrade bonus is used to create a low interests microcredit programme for the partners to accomplish their own projects and to improve the life conditions from the community. Unión de la Selva is a Social Solidarity Society that groups more than 1400 small scales Mayan farmers from Mam, Mocho, Tojolabal, Tzotzil y Tzeltal, belonging to 146 communities, from 19 different towns in Chiapas. 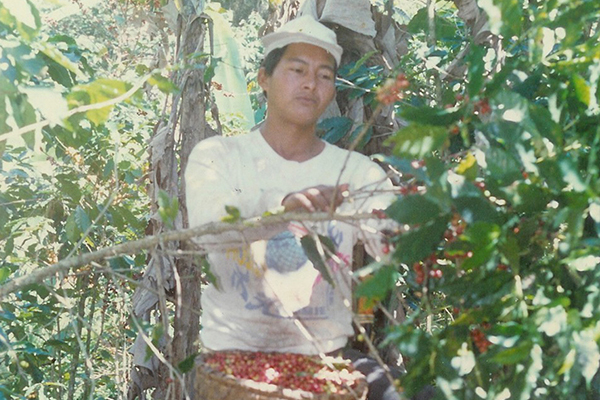 Union de la Selva was founded in 1980 to solve one of the most common problems for the farmer and to ensure fair prices for the coffee, as well as to keep their natural resources (ground, water, flora, fauna), damaged by the moderns monoculture practice. The organic farming is based on the traditional knowledge, and this effort is seen in the use of the native farming for the biodiversity preservation and using the traditional working methods, too. Unión Majornut is a Fairtrade Cooperative that groups more than 1.000 small scale coffee native farmers that come from tzeltal and Tzotzil ethnics in Altos de Chiapas (Mexico). They fight to look for a total development of the farmers that belong to the association. In that way, the organisation works from 1983 for the production and marketing of the coffee, but it also takes into account the projects that want to improve the life conditions and work of 32 different communities that take benefit from this producer group. The coffee grown of the organization is done in Altos de Chiapas, more than 1000 metres higher. The floor has a volcanic base and it follows a traditional and natural grown system from their ancestors. The Majornut partners are smallholders, having 2 hectares ground. They use one of them to grow coffee (to gain 1st need products: clothes, medicines…) and the other part is to grow corn and beans for the family and the community feeding. This cooperative was founded in 2009, and is formed by 100 members that work in the rooibos production from 1998. An inflection point was at the moment they got the Fairtrade Certificate, at the beginning of 2010. 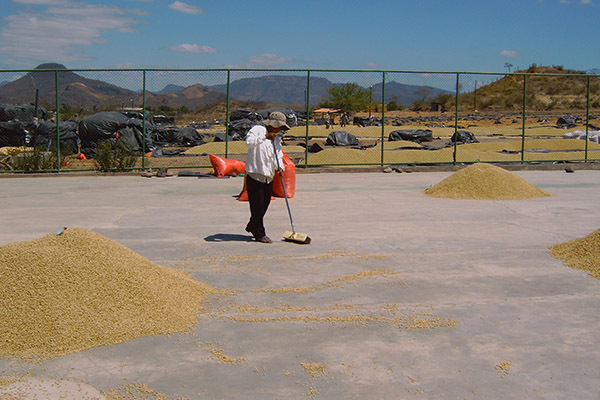 Their partners work as a team on the cooperative development, in their flairs and in the production improves. 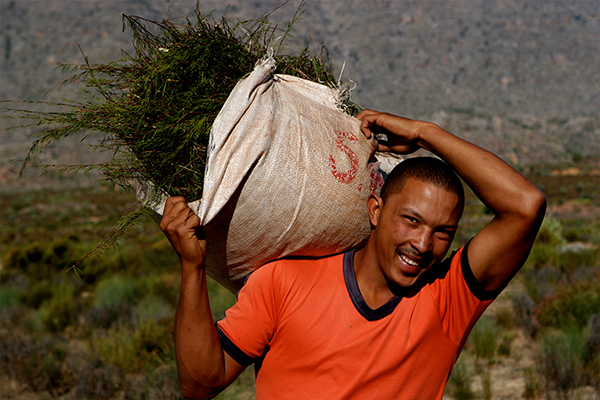 Fairtrade guarantees a minimum price buying rooibos, which is higher than the conventional market price. This means a drastic improvement in the farmers’ investments and represents a big challenge to take profit from their work, and also to invest on their own development. After fighting to be free from the colonial plantation, from the apartheid and also to finish with the racism, the inequality and the farmers exploitation, to get benefit from the work has supposed a big change for them.